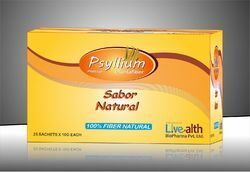 We are a remarkable entity in this domain, engaged in offering a qualitative assortment of Psyllium Husk Powder. Ingredient: Isabgol bhusi-70gm, Awla-16 gm, Harad-8gm, Swet saji khar-6gm. As a quality focused firm, we are engaged in offering a high quality range of Psyllium Husk Powder. Owing to our enriched industrial experience, we are devoted towards manufacturing a wide variety of excellent quality Energy Powder. 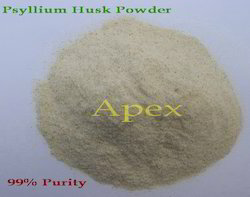 Psylliumhuskpowder is available in various mesh size like 20, 40, 60, 80, 100 & 120Mesh with different purity like 85%, 95%, 97%, 98%, 99% & 99.9%. It is used in bakery products as well as for dietry supplements. We bring forth for our clients a qualitative range of agricultural products such as onion, garlic, sesame and Psyllium Husk Powder. The products are procured from trusted vendors of the market. In order to ensure that the quality is optimum, we offer seasoned goods to our clients. We offer our range at reasonable rates and in effective packaging material.